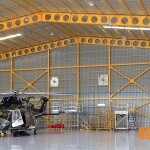 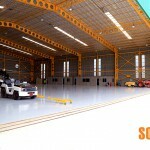 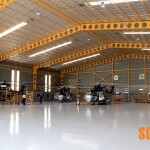 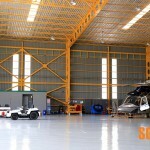 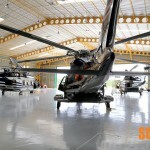 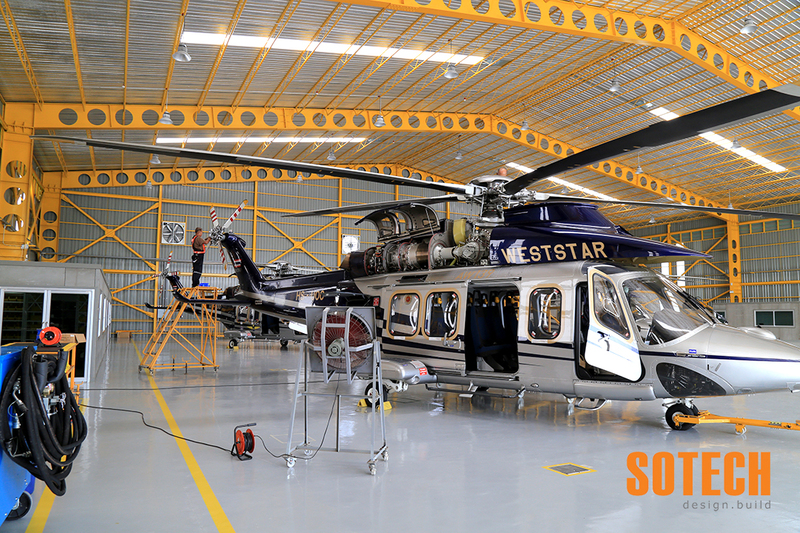 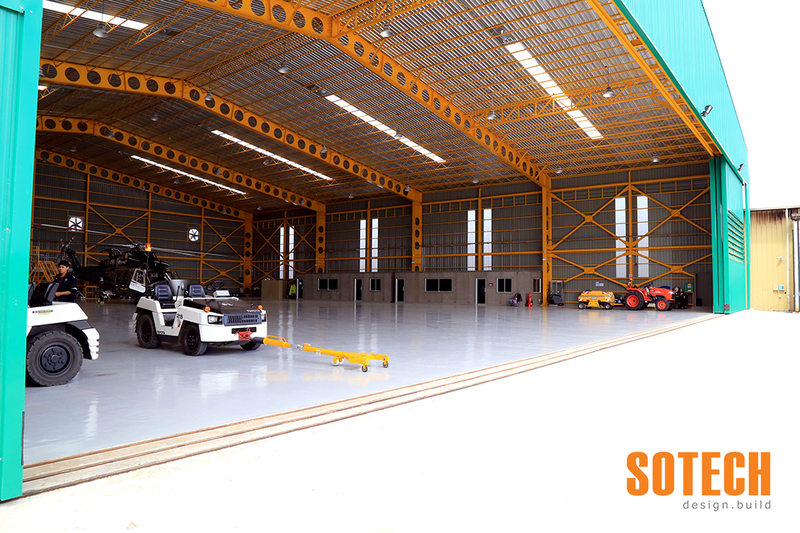 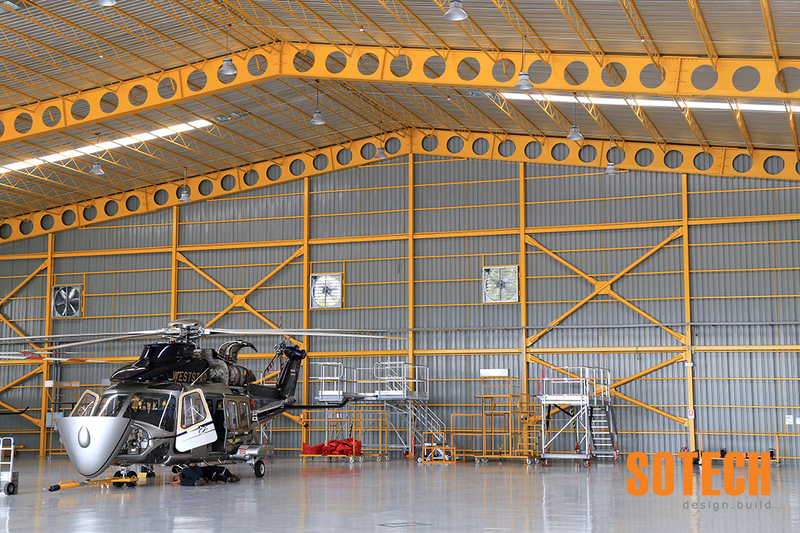 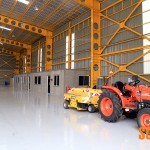 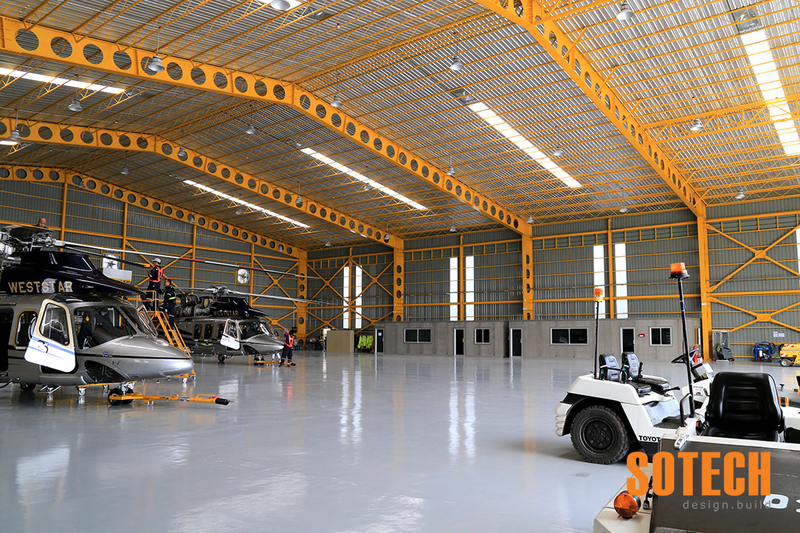 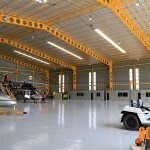 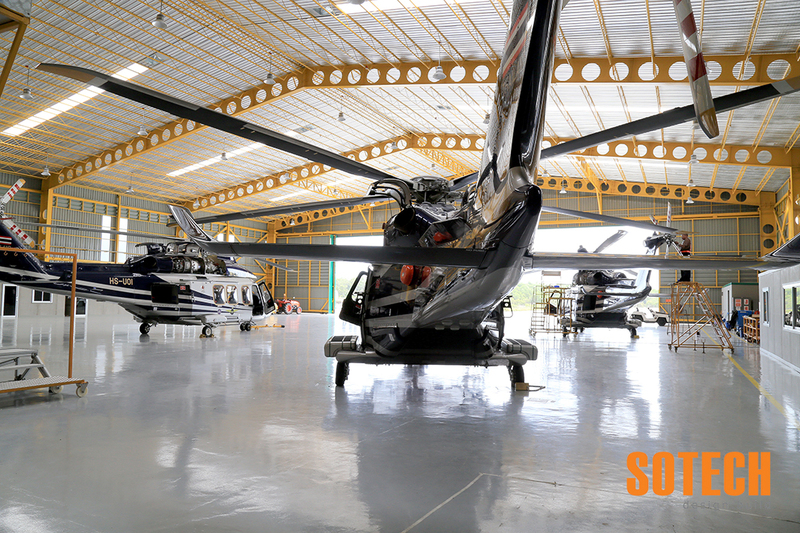 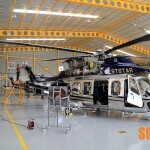 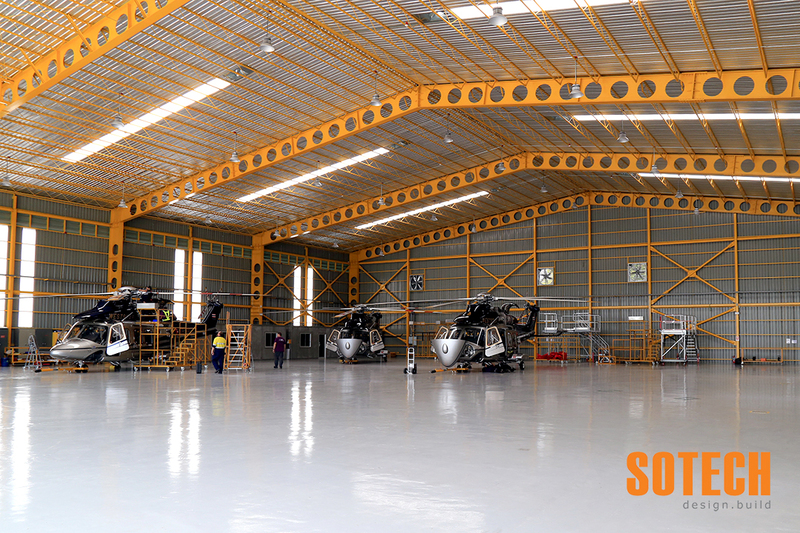 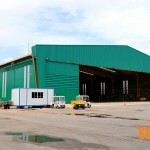 Sotech was chosen as the construction company to build the 3,000 square meters helicopter hangar in the south of Thailand. 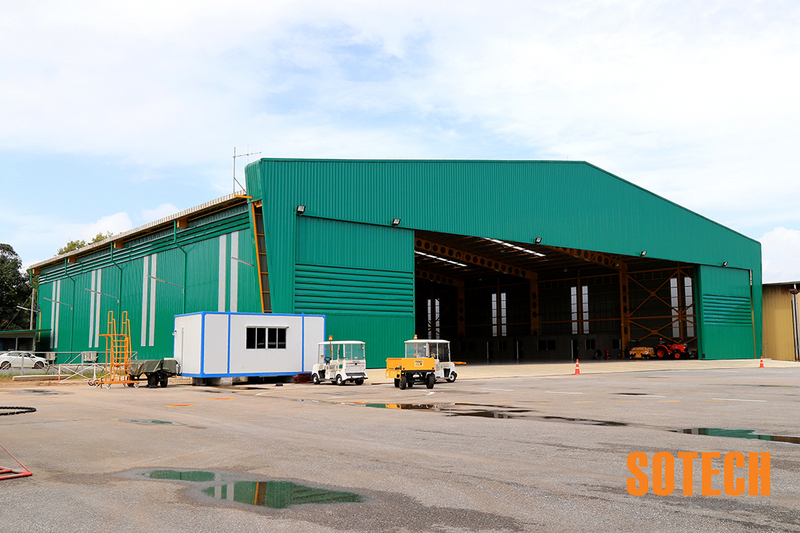 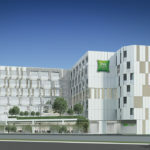 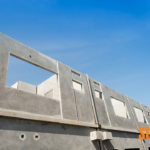 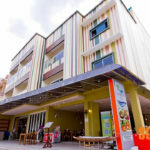 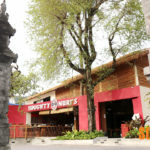 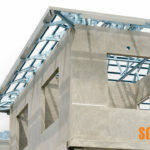 At the bidding stage Sotech proposed a new wide span steel structure to the owners and Sotech got the approval from the owners to re-design the steel structure, stronger and more cost efficient than the initial one. 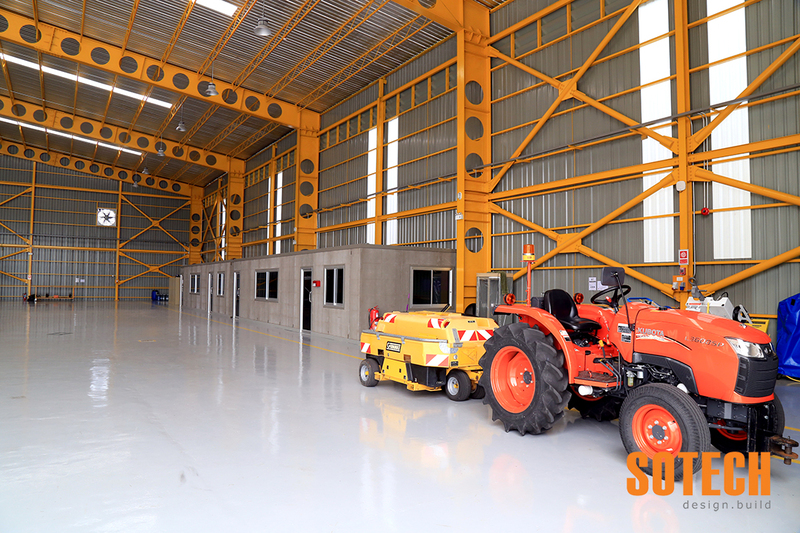 The new wide span steel structure was prefabricated and painted before arrival to the construction site for installation. 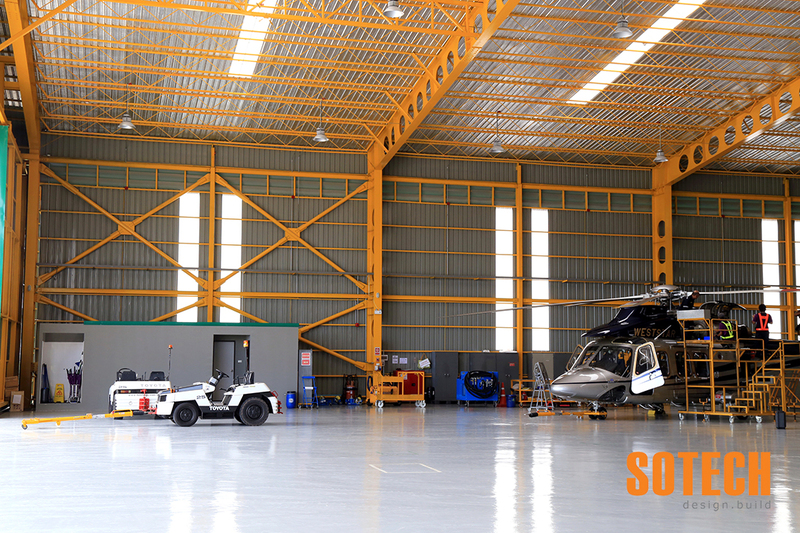 The hangar accommodates up to six state of the art AgustaWestland helicopters that offers transport to offshore oilrigs in the Gulf of Thailand.